Fidelity Capital Markets Equity Trading Consultants offer you a high level of service, backed by a deep understanding of market structure, so they can help deliver insight and guidance to help you make informed execution decisions. Watch our video to learn how you can access our abundant and diverse liquidity, our team of professionals, and our tools and technology to help improve the performance of your strategies. Allows for trading securities discreetly, while maintaining control and providing you with institutional-level dedicated service. Provides electronic execution of a basket or portfolio of stocks used to trade many stocks simultaneously. Gives you access to world markets through multiple channels due to our relationship with multiple U.S. market makers and local brokers. Fidelity Capital Markets takes a customized approach when analyzing your stock repurchase to help meet the objectives of your buyback program. Our proprietary tools examine the volatility and volume profiles of your company stock to determine the optimal trading strategy. Offers a coordinated, seamless, and comprehensive approach to help minimize your trading risk and cost when moving assets from one investment manager to another. Provides the strength of Fidelity's balance sheet, streamlined administration, reconciliation, accounting, and invoicing processes, which can help maximize the value of your relationship with Fidelity. 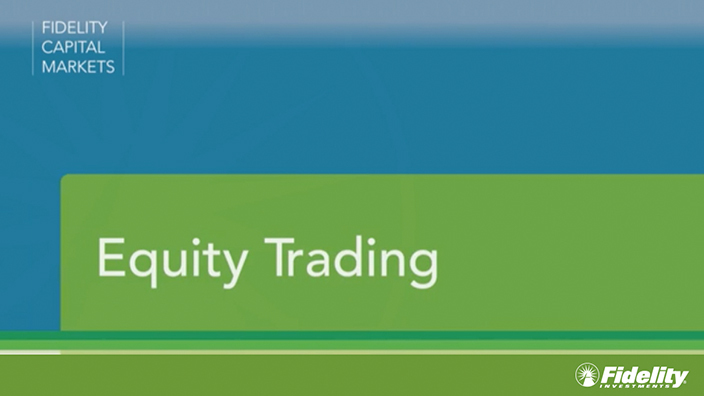 For more information on Equity Trading, contact a Fidelity Representative.